ANN ARBOR (MI) â Planning a dream kitchen has just gotten a little easier with the new intuitive online tool from Merillat, the âStep-by-Step Kitchen Plannerâ. Designed to guide homeowners through a customized planning process, the Step-by-Step Kitchen Planner helps them find the most appropriate styles, products and features for their lifestyles, and visualize their new kitchen choices in a virtual rendering that can be shared with their builder or local Merillat dealer.
. Is your new kitchen a remodel or are you building?
. How do you plan to use your kitchen? 2. Inspiration. This is where the homeowner explores and decides on what style suits them best, be it traditional, contemporary, eclectic, etc. Once they decide on their style, they are then presented with a series of kitchen photos. They save the kitchens they like best and learn about the features that make those kitchens special. 3. Door Style. Cabinetry is the foundation to any kitchen. Whether the homeowner knows exactly what they are looking for, or they need to be presented with options that meet their taste, this step helps them choose their favorite door style, wood species, finish and hardware for a finished look theyâll love. 4. Organization and Accessories. Based on the homeownerâs answers about how they plan to live in their kitchen, the tool then presents a series of features designed to make life in the kitchen easier. From pull-out wastebaskets to wine racks, the homeowner can browse additional photos and videos about the features to learn more, saving their favorites to their project. 5. Planning Your Space. This is the step where the homeowner reviews major considerations they may want to discuss with their designer once they get to a Merillat showroom such as sink and faucet types, counter top materials and appliance options, all of which can affect the kitchen layout. 6. Finishing Touches. Finally, it all comes together with cabinetry accents like corbels and crown molding, not to mention paint color, flooring and countertops. Upon completion of this final step, the homeowner is presented with âMy Design,â a collection of their favorite products organized for easy sharing with their designer. Swatches and images are provided; including door styles, hardware, paint color, flooring and countertops. The new Step-by-Step Kitchen Planner along with the refreshed website are part of a larger, integrated consumer campaign which focuses on how Merillat can bring function and smart storage solutions to any kitchen. About Merillat. Merillat knows how meaningful innovation and functional storage can make prepping, cooking, entertaining and living in the kitchen easier. To demonstrate how Merillat kitchens are highly functional and filled with a variety of smart storage solutions, the company recently launched a national multi-media advertising and public relations campaign centered around the theme of The Dream Kitchen for the Real World. 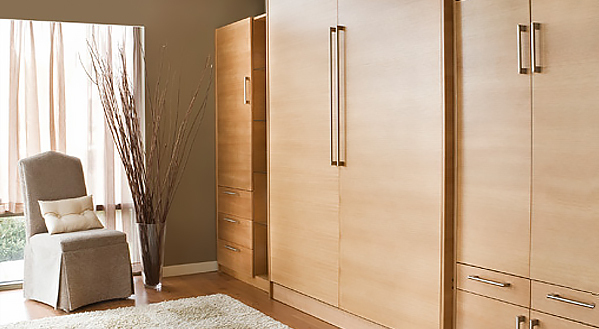 Merillat is based in Ann Arbor, Michigan, and part of Masco Cabinetry. All Merillat products carry the seal of the Kitchen Cabinet Manufacturer Association (KCMA). A leader in environmental stewardship, Masco Cabinetry has been granted an Environmental Stewardship Program certificate by the KCMA and is ISO 14001 certified.